Associated Press/Anis Ben Salah Nour El Houda Hassani, the mother of Anis Amri, reacts after the death of her son, in Oueslatia, central Tunisia, on Friday. Amri was shot dead early Friday in the outskirts of Milan, Italy. 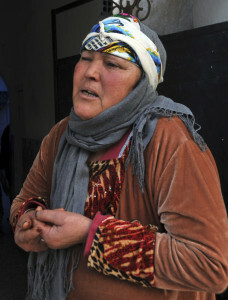 Nour El Houda Hassani, the mother of Anis Amri, reacts after the death of her son, in Oueslatia, central Tunisia, on Friday. Amri was shot dead early Friday in the outskirts of Milan, Italy.